I made another Glass Onion top for my girl. Remember this was the pattern I didn’t like at first, then totally fell in love with. Well I’m absolutely head over heels with this pattern in a rayon challis! My girl saw me in a dress with this same cosmos rayon challis fabric and said, “Wow Mom! I want one for me too!”. 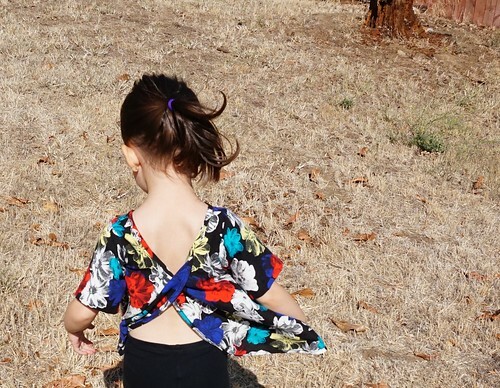 I had to make her something with the leftovers because she was so enthused, and this top popped into my head when I thought little girl and flowy fabric. 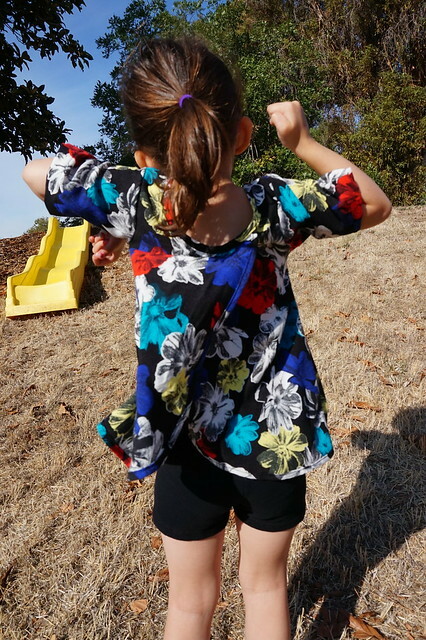 I sewed up the regular back version with the short sleeves option in a size 3. 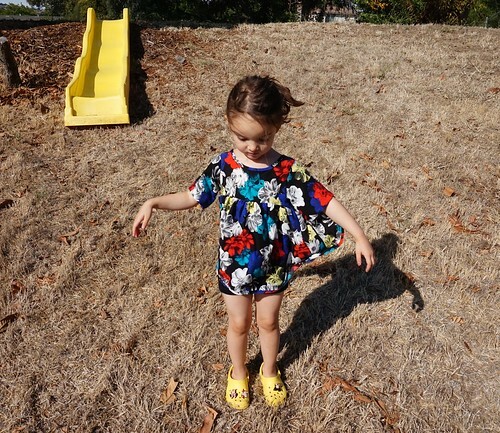 My daughter is 4, but she’s thin, and I didn’t want the slick fabric falling off of her shoulders. 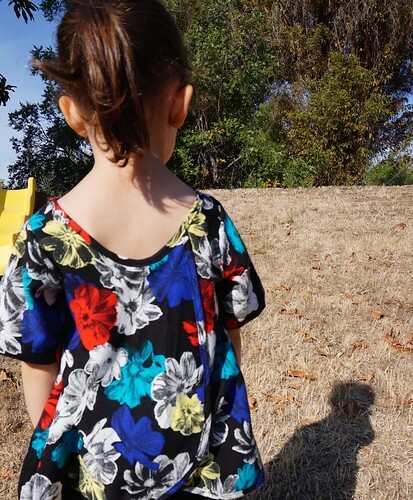 I finished the back seams and neckline with bias tape made from the same fabric. This fabric was a bit of a pain to cut on the bias because of its shiftiness, but in the end it was worth it. 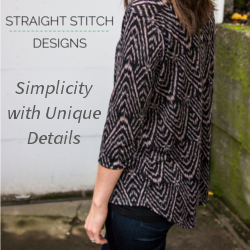 I had just enough, like only 1″ leftover when I finished the neckline! Phew! I decided to expose the bias tape instead of folding it under for no reason other than that’s the way I did it on my dress (post coming soon). The wind was blowing and this top was goin’ with it! She loved how it moved in the wind. In her words, “I’m so fancy!”. Now to make a dress with this fabric for my littlest one! Have you ever made family matching outfits? I never would’ve thought I would be doing this, but when you have so much gorgeous leftover fabric, why not?! Thanks! I love the cheesiness! Especially if it makes my girls smile and feel special.